Cancer diagnostics and treatment is one of issues constantly occupying the minds of the best specialists of the world . Despite the fast development of medicine, the number of oncology patients seems to be on the rise. Very important factor in successful treatment is the early detection of the disease and timely diagnosis of a person in the presence of certain symptoms. It is not easy to diagnose cancer in the early stages of development, despite the fact that today there are many methods of diagnostics and modern equipment are being used in specialized laboratories and medical facilities. Too often cancer is diagnosed in the later stages, with the appearance of severe symptoms . To maximise the chances of recovery, cancer needs to be discovered in the early stages. The rule of thumb in oncology is that the earlier cancer is discovered, the better are the chances. If discovered soon enough (1st stage) chances of recovery are higher than 90%. If discovered during the 2nd stage, rates go down to 70%-80%. This is mainly due to the fact that most cancers tend to disseminate (send metastases) while in advance stages. 3rd stage cancer is already disseminated in many cases, sending its cells to other organs and tissues of the patient’s body. This reduces the chances of full remission to 30-40 percent. 4th stage cancer usually means that metastases have spread to many locations, and usually no radial treatment is offered. This situation requires a systemic treatment, usually with chemotherapy, to fight cancer cells everywhere. The chances of recovery are slim, although not non-existent. It is important to mention, that those rates of recovery are inaccurate and vary in accordance with the specific disease and patient’s condition. For example, thyroid cancer has good prognosis even on the 3rd stage, while liver cancer is considered to be much more severe and aggressive, less responsive to treatment and thus falls below the mentioned rates. Cough without cold, that doesn’t go away. Certain types of cancer are characterised by specific symptoms. For example, leg swelling might be a manifestation of cancer of the liver, kidney or digestive organs. With the presence of stomach cancer, the patient may experience a constant sensation of fullness in the stomach. Swallowing discomfort can be a sign of larynx cancer. Symptoms like those listed are grounds for a series of health tests (screening), which might lead to discovery of a malignant process. The final diagnosis is usually made after doing a biopsy procedure, which allows to determine the exact type of cancer. 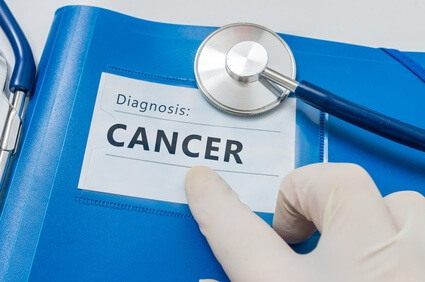 Cancer diagnostics can be done in different way, all in accordance with the type of the suspected lesion and patient’s overall health situation. For example, X-ray can be used to diagnose lung tumors. Transrectal ultrasound (TRUS) helps diagnose prostate cancer. Blood tests called “tumor markers” are widely used to discover of a malignant process in mammal gland, ovarian, liver, bowel and pancreas malignancies. 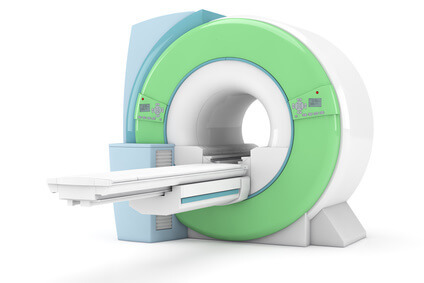 MRI or CT can be used to investigate brain cancers. In order to evaluate the presence of disseminated cancer cells in the body PET-CT is widely used. Timely diagnosis of cancers’ growth greatly improves the chance of a complete recovery of the patient. We should always be aware of our bodies, and not to hesitate consulting with a health professional if there is a need. If you are interested in undergoing cancer diagnostics and evaluation in leading facilities abroad, you are invited to send us an inquiry!